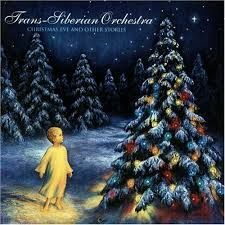 Carol of the Bells – Christmas Eve, inspired by the TranSiberian Orchestra. This is the Rock Band version with the following instrumentation. Piano; String Reduction; Lead Gtr1; Lead Gtr2 (optional) Rhythm Gtr. ; Bass Gtr; Drum Set; Tympani (optional); Chimes (optional); Cymbals (Optional). This has a Christmas Rock feel with celebration. Note that there are also other versions available including Rock Band with,Brass and Strings, and a Full Orchestra Version with Rock Band.